This was an installation we did for Tesco in one of their stores based in Abergele, North Wales. They wanted a refurbished second hand table. We selected a good quility table and did a full Refurbishment, Valet and Recover to this Pool Table, which they thought was perfect for the staff to play on. 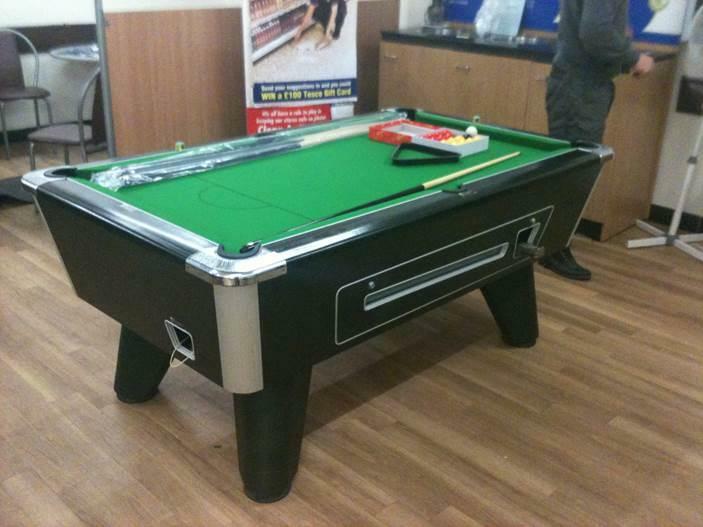 The staff were really happy with the Pool Table as it gave them something to do in their lunchbreak.